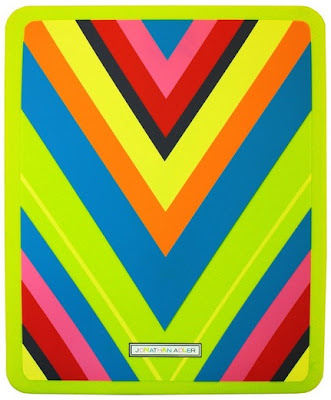 Mix and Chic: Giveaway- Amazon gift card by Unique Vanities! 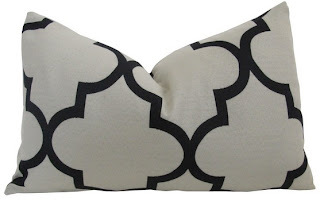 I am excited to announce a fabulous giveaway brought to you by Unique Vanities. 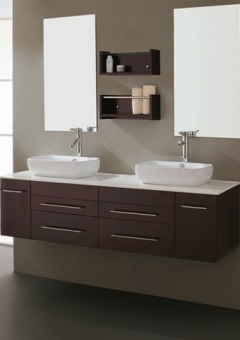 Unique Vanities offers a wide variety of unique bathroom products which includes vessel sinks, sink vanities, faucets and mirrors. All the products are hand selected by the owner, Julia Ritzenthaler to ensure that they meet the highest possible quality standards in craftsmanship while also offering unique characteristics and style. 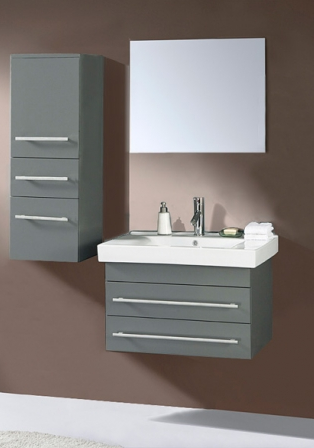 Honestly, I haven't seen so many unique bathroom vanities on a website and I am very impressed with their stylish selections. 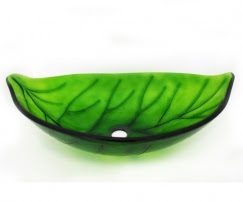 This whimsical leaf shaped glass vessel sink is perfect for a child's bathroom with a forest or a garden theme. 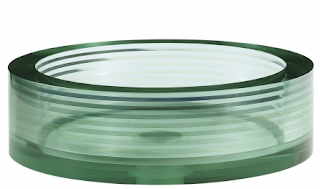 This clear round vessel sink would look great and make a major design statement in a modern bathroom. 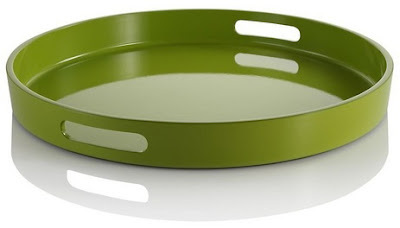 A square version vessel sink similar to the above design looks equally stylish and gorgeous as well. 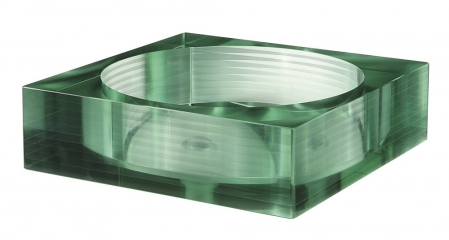 This sculptural canoe-like sink would look amazing in a minimalist, modern or zen bathroom. The vessel sink truly exudes beauty and luxury, who wouldn't want this for their master bathroom? This round marble stone vessel sink is so simple yet so beautiful, it's a wonderful addition for any contemporary bathroom. 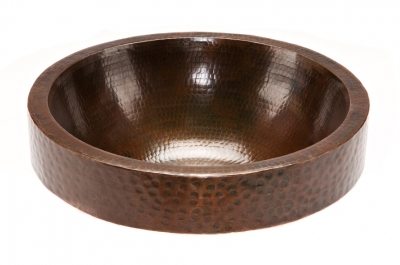 I can envisioned this hammered copper vessel sink in a warm and elegant bathroom. Now, the best of the the best among all vessel sinks. This carrara white marble infinity pool vessel sink definitely tops the rest in terms of the looks and luxury, in my opinion . 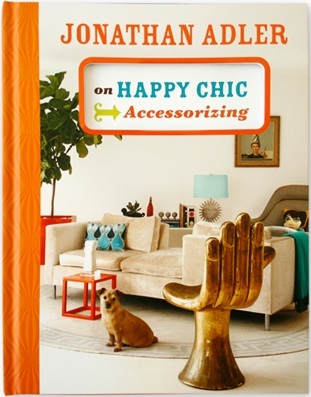 This stylish book by Jonathan Adler. 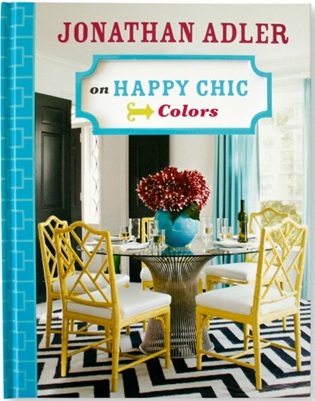 This colorful book by Jonathan Adler. 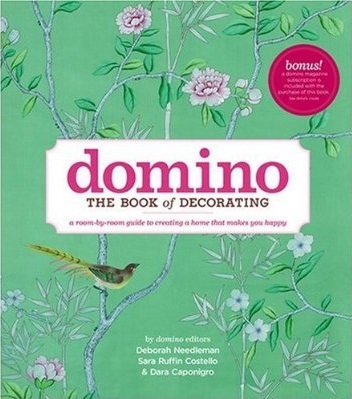 The decorating must-have book by Deborah Needleman. 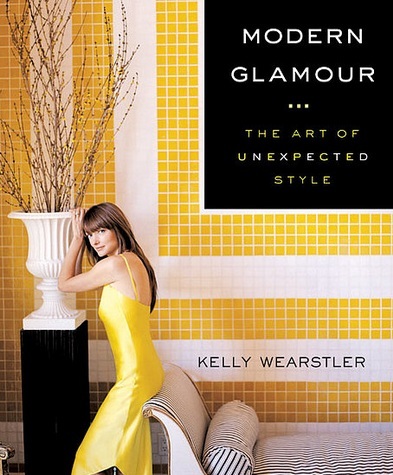 This glamorous coffee book by Kelly Wearstler. 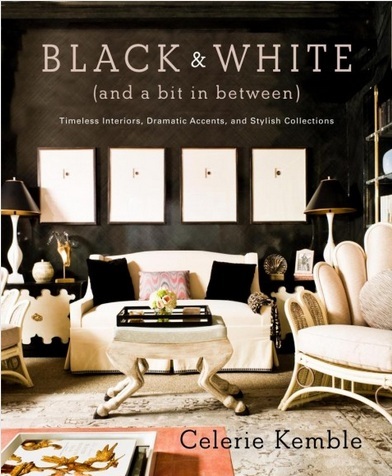 This gorgeous coffee table book by Celerie Kemble. 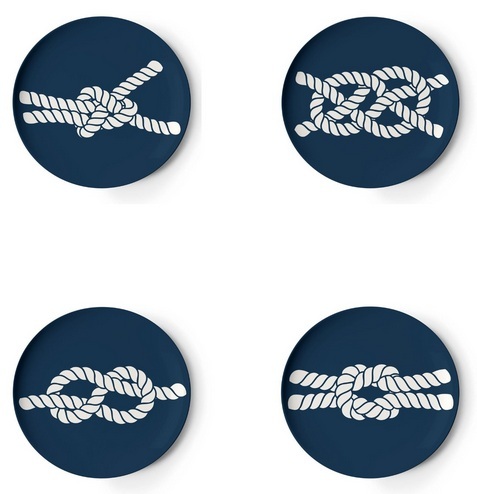 These set of stylish nautical coasters by Thomas Paul. 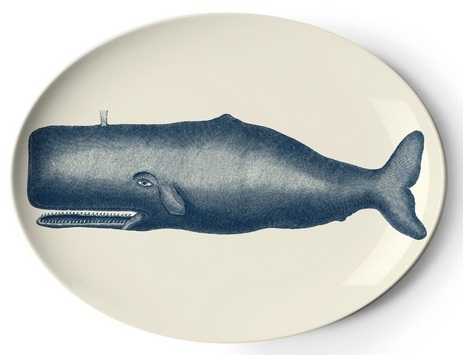 This whale melamine tray by Thomas Paul. This beautiful green tray perfect for serving. 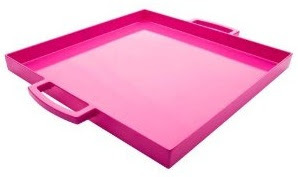 This pretty tray (also available in other bright colors). 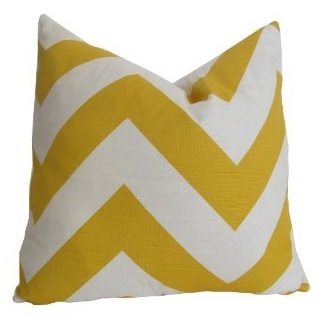 This stylish yellow chevron designer pillow cover (also available in other colors). 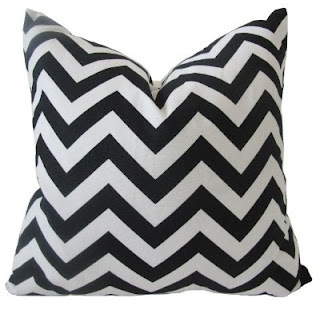 This versatile black chevron designer pillow cover (also available in other colors). This beautiful designer trellis fret work pillow cover. This trendy Mongolian faux fur pillow. 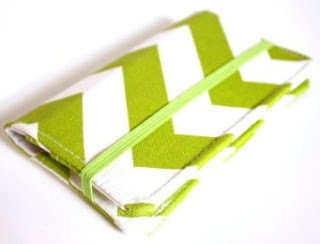 This convenient and chic cell phone wallet flip cover case. This fun iPad cover by Jonathan Adler. 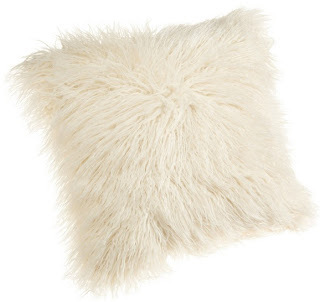 Of course they have more fabulous stuff at Amazon but you get the drill! 3. 'Like' Unique Vanities on Facebook and leave a separate comment. 5 'Follow' Unique Vanities on Twitter and leave a separate comment. 6. 'Follow' Unique Vanities on Pinterest and leave a separate comment. There is a total of 9 chances to win for everyone! So hurry, don't miss this opportunity! The deadline for entries is February 29, 2012. The winner will be chosen by random.org and announced on Thursday, March 1, 2012. Good luck, my lovelies! This is a great website for me since I do so many bathrooms! I love the black basalt, the Echo bowl in bb is divine! Would love to see it in person! Thanks for this giveaway, Jessie. I am a follower of your lovely blog, Jessie! Oh, I love the Round Cream Marble Stone Vessel Sink! Following this fabulous blog via GFC! My favorite vessel sink is the Arched Edges Black Basalt Bowl Vessel Sink. You always have such fabulous give a ways and this one is also. Have a good day! My favorite is the silver glass unique shaped vessel sink! And I'd LOVE to win a $30 Amazon gift card!! i love the Large Euro Black Granite Stone Vessel Sink! i liked Unique Vanities on facebook! following Unique Vanities on twitter also! following Unique Vanities on Pinterest! 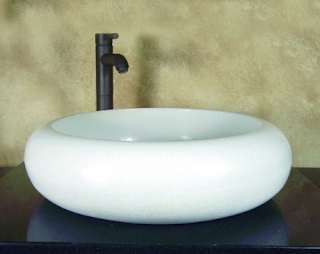 Love the Zen Cut Sand Marble Stone Vessel Sink. I've always loved copper sinks and the Semi Recessed Dark Copper Vessel Sink really stood out to me! Thanks for such a great giveaway! I'm following you on Facebook under RustiChic! I shared on my RustiChic Facebook page! The colors are amazing. Im about to retweet your give away on twitter. I'm a new GFC follower. I like the Zen Cut Black Granite Stone Vessel Sink. I like Mix and Chic on Facebook with my username Mary Happymommy. I like Unique Furniture on Facebook with my username Mary Happymommy. I definitely follow you, and I adore the Pod Shaped White Marble Vessel Sink! I posted your give away on FB. 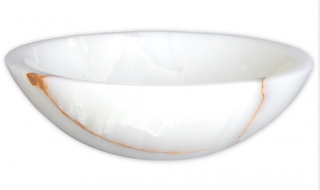 Love the Round Cream Marble Stone Vessel Sink!